Music you've never heard…. 'til now! A blog of rare, hardly-heard or remembered pop, hip-hop, R&B, freestyle and dance music from the 80s and 90s. 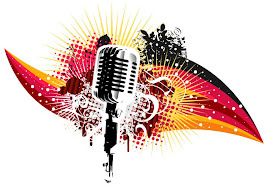 From one-hit wonders to no-hit wonders, this blog has it all!! 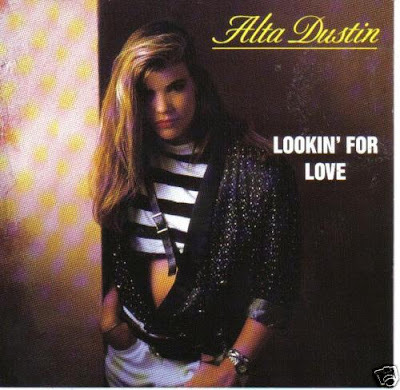 Alta Dustin was a female pop\dance singer from the early '90s. She was discovered by A&R representative Jason Flom (who signed rock musicians such as Tori Amos, Stone Temple Pilots, Twisted Sister, Skid Row, and White Lion) and signed to Atlantic Records. In 1989, Alta released two singles: "One Man Woman" and "Tonite." It's unknown how or if the singles ever charted. Two years later in 1991, Alta released her debut album "Shoulda Known Better." It's unknown how or if the album ever charted. The title song and "Lookin' For Love" were released as singles, but it's unknown how or if the songs ever charted. After that, it seemed as if Alta had faded into obscurity. 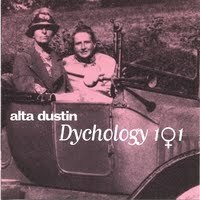 In 2000, Alta released her second album "Dychology 101" independently because she was "disenchanted by major record politics." The album received good reception by audiences worldwide. According to CD Baby, Alta resides in New York City, but it is unknown what she is up to these days.